A management system is the framework of processes and procedures used to ensure that an organisation can fulfil all tasks required to achieve its objectives. A growing number of businesses, from the service sector to the manufacturing and engineering sectors, are seeking to have their management systems certified by a third party. Whether responding to customer demand, looking to inspire shareholder confidence, or seeking internal improvement, management systems certification can demonstrate the competence of management and staff, impartiality and the avoidance of conflicts of interest. 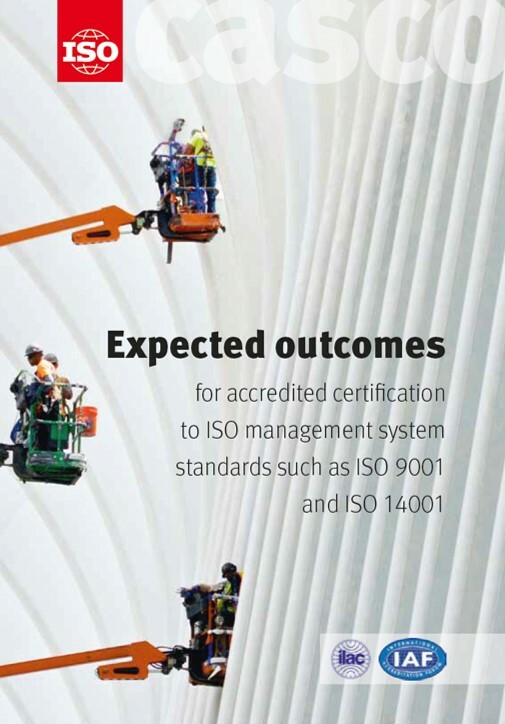 The International Accreditation Forum (IAF) and the International Organization for Standardization (ISO) support the following concise statement of outcomes that are to be expected as a result of accredited management systems certification. The intent is to promote a common focus throughout the entire conformity assessment chain in order to achieve these expected outcomes and thereby enhance the value and relevance of accredited certification. A number of organisations in the UK provide non-accredited certification. The Department for Business Energy and Industrial Strategy (BEIS) recommends on its website that UK businesses, requiring certification services to source such services from certification bodies accredited by UKAS. Further guidance is available on the Charted Quality Institute (CQI) website.